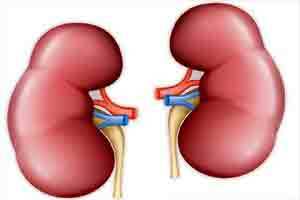 London : A deficiency in the amount of vitamin D in the body may lead to high risk of chronic kidney diseases, especially in children, says a new study. Vitamin D deficiency has been found common in children with chronic kidney disease (CKD) the longstanding disease of the kidneys leading to renal failure. Researchers have identified certain modifiable and non-modifiable factors associated with vitamin D deficiency in children with CKD. According to the study, nearly two-thirds of children suffering from vitamin D deficiency were also suffering from certain abnormalities like glomerulopathy a set of diseases affecting the nephrons. Vitamin D levels were found lower in winter months than at other times of the year. “Vitamin D levels are influenced more strongly by seasonal factors, the type of disease and nutritional supplementation than by common variants in vitamin D regulating genes,” said Anke Doyon, at the University of Heidelberg in Germany. Deficiency in Vitamin D may also increase the risk of osteoporosis, cancer, cardiovascular disease and autoimmune disorders, the researchers said. Children with kidney disease who took vitamin D supplements had vitamin D levels that were two-times higher than those who did not take supplements. “Supplementation practices should be reconsidered and intervention studies are needed to define guidelines how to monitor and treat vitamin D deficiency in children with chronic kidney disease,” Doyon suggested. The team analysed 500 children affected with kidney diseases in 12 European countries. The findings published in the Clinical Journal of the American Society of Nephrology (CJASN), could help physicians protect the health of these young patients, the researchers concluded.